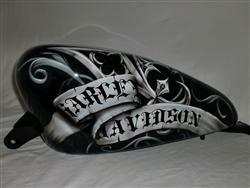 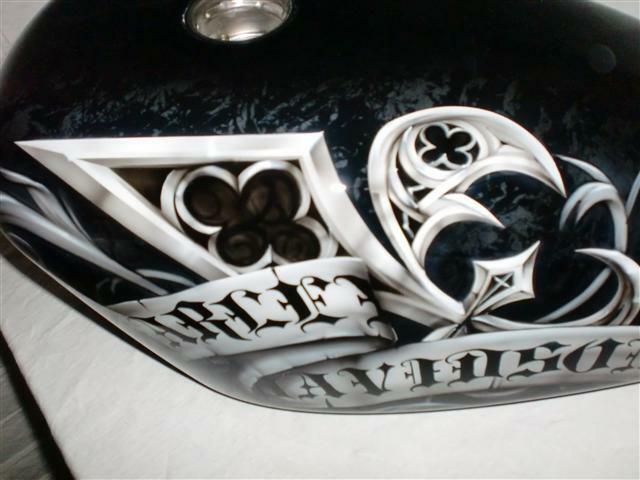 Fleur-de-lis airbrushed in white and gray with scroll art work and a ribbon with Harley- Davidson painted through the ribbon. 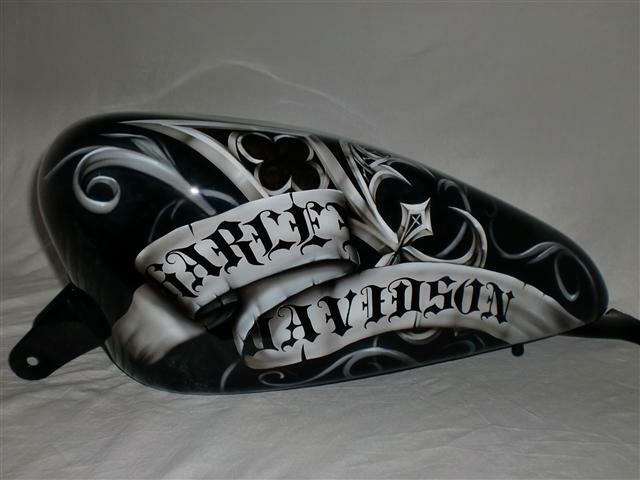 You design what you want on this set by giving us reference and You end up with your own masterpiece. 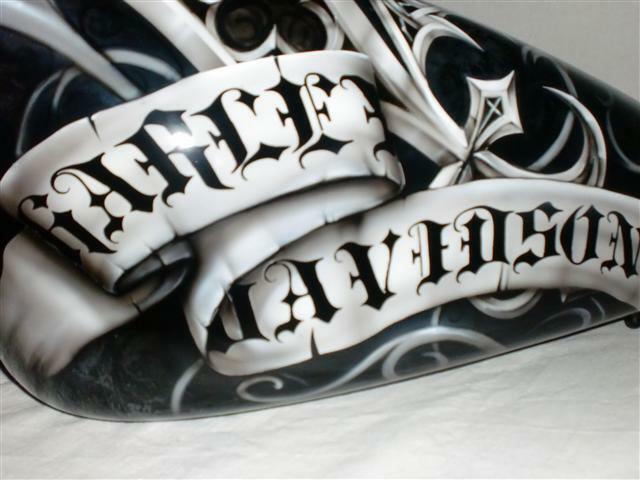 White base with black and gray art work would also work with this design, look for the new age art work on white base in the airbrush gallery to see this design in white. 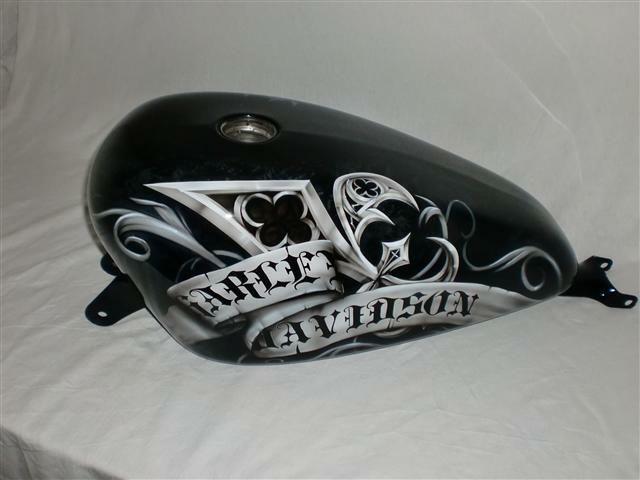 Keep in mind this is your creation and your bike so you get it your way.